Mr. Arnold serves as an Engineering Technician and works closely with CP's Engineering staff performing technical analysis, engineering data gathering, report generation and construction project oversight. He is proficient in Auto CAD and works with the engineering team on various projects, preparing schematic and technical drawings. Mr. Arnold also has over 10 years of Information Technology (IT) experience, and provides desktop support, printer administration, new machine builds and technical assistance to the CP staff. Mr. Bale has over 35 years of experience in the operation and maintenance of water and wastewater systems, including 8 years with the Town of Newton Water & Sewer Division, and 22 years with the Sussex County MUA, where he served as Operator and Superintendent. He provides a wide range of services to the firm, including operations consulting, construction inspection, I/I investigation, and assisting in the development of permit renewals and O&M manuals. Ms. Burbank has over 19 years of engineering experience applied to Site/Civil Land development and Solid Waste Management design. Wide range of experience dealing with a variety of private and public clients, state, federal government and municipal regulatory agencies working together to ensure that all projects are completed successfully and in accordance with budgetary and timeframe constraints. Extensive design and overall project management experience including planning, budget development and review, proposal development, site layout design, utility layout and design, base mapping, environmental permitting, hydraulic and hydrologic modeling for floodplain management analysis, structural design, intricate grading and earthwork analysis, and stormwater system layout and design for small and large scale retail, commercial, educational, and industrial properties along with residential housing/subdivision developments. Additional experience for projects includes long term financial plans, engineering reports, environmental land use permitting, certification report writing, technical specifications writing, and engineering cost estimating. Construction inspection and management including quality assurance/quality control for Solid Waste Facility Construction, Geosynthetic Installation, retaining wall installation, pavement reconstruction, concrete installation, earthwork, Athletic Field Artificial Turf installation systems, Storm Water, Sanitary, and Utility pipe installation. Works well with coworkers and excels at training and development of staff, skilled at communications with clients, regulators, contractors, and external customers to establish and maintain customer satisfaction and maintain a high-quality company reputation. John serves as a Staff Engineer supporting Civil and Environmental engineering projects at the firm. He has experience in municipal, land use, stormwater management, and environmental remediation projects. Mr. Cahillane performs planning and zoning board reviews, stormwater management calculations, roadway design, environmental permitting apps and various municipal projects. Ms. Capwell has a wide range of interests and knowledge, including marine science, sustainability, fisheries management, environmental remediation and development, and geographic information systems (GIS). Ms. Capwell handles the technical aspects of locating existing assets and updating and creating system maps utilizing GIS for CP clients. Mr. Giancaterino served on the New Jersey Board of Public Utilities, 2013-1982, and held various positions in the regulation of public utilities, including field investigations, inspections, customer service, correspondence, legislation, mark-outs and homeland security. Prior to that Paul conducted land surveying, site plans, sub-divisions, variances, septic design and land development. Paul also served as Assistant Engineer to the Township of Scotch Plains, New Jersey and conducted field and office work related to municipal engineering. Mr. Longberg is an experienced engineer with extensive, well-documented success in international and local projects. He is highly skilled in troubleshooting problems, creating and implementing solutions and overseeing operations. Mr. Longberg provides project engineering support and quality control inspections for the firm. He has experience in the engineering and inspection of wastewater treatment facilities, pumping facilities, landfill gas systems, solid waste facility liners and caps, numerous force main and gravity sewer collection systems and concrete structures. He also has an extensive, multi-disciplinary background in environmental engineering, and his prior experience included projects involving, sub-sea fiber-optic cables, stream restoration, reforestation, pond maintenance and wetlands restoration. Jeff has NACE LEVEL 2 Certification and climbs and inspects aerial tanks as well as ground tanks. Mr. McCutcheon has over thirty years engineering, design and construction experience. A self-starting project coordinator/engineer/construction coordinator with strong analytical skills and extensive background in utility design, construction coordination, outage phase planning, commissioning, design coordination and construction. He has provided on site design, construction planning and field support for large projects, including attending weekly construction meetings with project suppliers and contractors. Mr. McCutcheon's responsibilities include estimating, budgets, turnaround planning, schedules, inspection, construction assistance, outage planning along with critical path schedules and construction coordination. Ms. Nathanson is an action-oriented professional with a Masters of Engineering in Environmental Engineering, a minor in Green Engineering and interests in sustainability, she has over six years of experience in water, wastewater and remediation projects. Ms. Nathanson has an established track record of collaboration with clients, subcontractors and government authorities. She has strong communication and analytic skills, and experience to prepare accurate and technical engineering reports, specifications, calculations, and designs, and she has demonstrated the ability to work under pressure to deliver quality products on schedule, with a focus on cost and time savings. Most recently, Ms. Nathanson participated in a federally and state funded project to restore a 320-mgd Pump Station from damage caused by Hurricane Sandy and to mitigate against future similar events. In that regard, she prepared and wrote the 30 percent design report for the pump station, incorporating a perimeter flood wall system and standby power generation for the facility, determined required federal and state permits for the pump station work and performed supporting engineering calculations. She wrote the Environmental Assessment and Level 2 Environmental Review Documents to analyze the potential environmental impacts of mitigation at the pump station. Mr. Ruppert has more than 30 years of experience in civil and industrial engineering, with an environmental specialty in water and wastewater. His experience covers a broad range and includes projects recognized for their innovation and technical excellence. His experience includes planning and zoning board reviews, municipal master planning for water and wastewater systems, feasibility studies, field data collection, and hydraulic modeling of water and wastewater systems. His sewer and water system improvement designs include conventional, trenchless technology, and micro tunneling. Mr. Ruppert also designed chemical storage and distribution systems, monitoring systems, production and monitoring wells, architectural, HVAC, construction cost estimates, and traffic control. Some of his construction administration projects include elevated storage tanks, water system and treatment plant upgrades, municipal well and well house installation, NJ Transit field construction site management, and NYC Housing structural inspections. Ms. Schmidt provides a wide range of administrative and accounting support functions for the firm, including activities such as entering payables, receiving payments, setting up new clients and new job and updating specifications. Sarah has experience in sales, customer service, office based financial programs, proposal construction and word processing systems. Sarah has excellent interpersonal skills, easily builds rapport and is friendly and competent working with the firm's customer base. 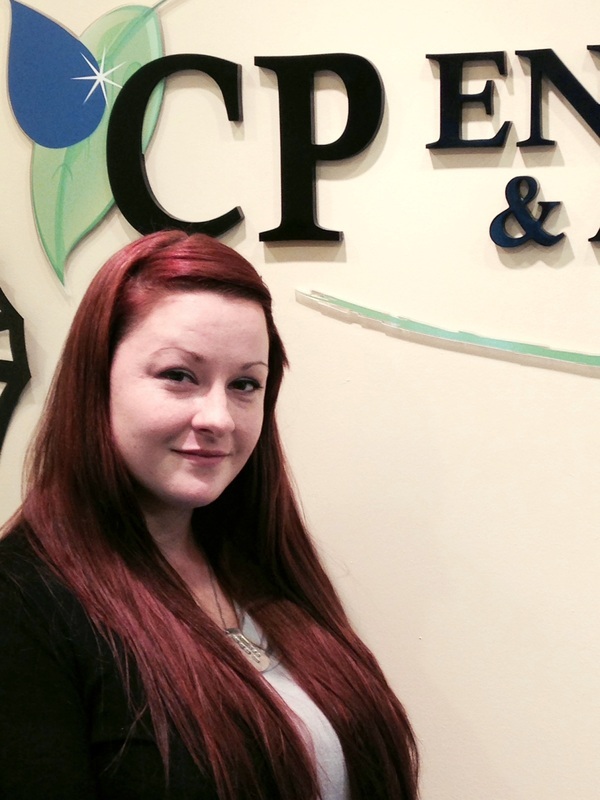 Sarah also leads the firm's recruiting initiatives and manages the candidate database.